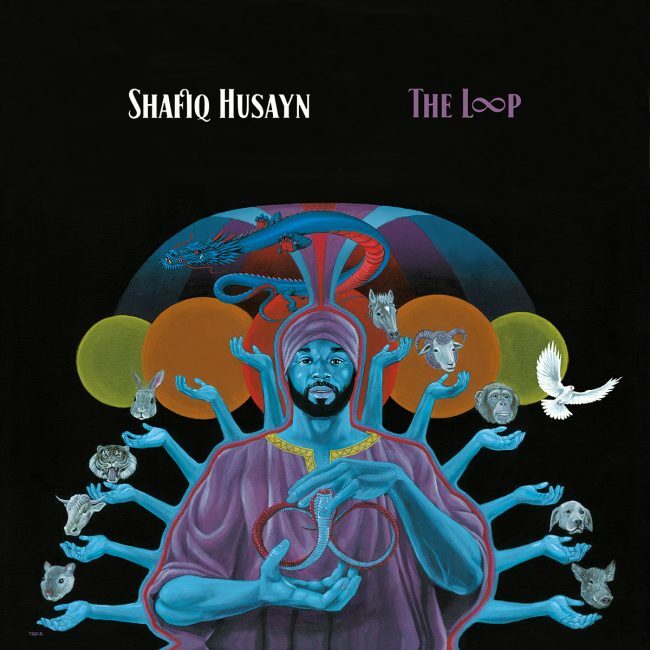 Shafiq Husayn‘s new album The Loop is now available on Spotify, Apple Music, and all other digital outlets. Years in the making, the eclectic project is the long-awaited follow-up to the Sa Ra founder’s acclaimed solo debut Shafiq En’ A-Free-Ka. It includes contributions from the likes of Erykah Badu, Anderson .Paak, Hiatus Kaiyote, Robert Glasper, Thundercat, Bilal, Flying Lotus, Jimetta Rose, N’Dambi, Miguel Atwood-Ferguson, Coultrain, and more. Blending lush live instrumentation with futuristic synths and otherworldly vocals, The Loop is a genre-defying opus incorporating spaced-out funk, raw neo-soul, free jazz, hip-hop beats, and electronic elements. “Welcome to Love’s Infinite Power = The Loop,” says Shafiq. “It’s the continuance of an infinite cycle of music I hope will live on in the hearts and minds of all long after I’m gone.” The album is also available for pre-order on CD, vinyl, and cassette.